[ ie. LHPF+ qi gongs+ animal-forms+ swimming dragon forms addended and augmenting taught by Wu YiHui ] This is a simplification at best. (2) Water washing/ boxing 'washing' and its' 'swimming' application to boxing seems to be used already both before and during the Sung Period; water boxing was used in 1930-1940's and is still used in Shanghai throughout the 1900's to current century. Thus a distinction is needed about a principle of flowing [archaic] and a renaming of LHBF later for simplicity, but not likely equivalency. (3) The water-boxing name is later reaffixed to the LiuHeBaFa exercise emerging in America and Europe by various teachers; ...one in principle only, another in name only. Health-exercise: water/spirit-boxing, water-style, water-boxing, water-spirit, water-method-qi-gong, spirit-method-exercise, spirit-dream. 'Water' boxing as taught..almost anywhere..is not pre-Nanjing 'water' principled boxing. (4) The named teaching poem, LiuHeBaFa, the 6x8-verses, is said to have been 'found' by Lee, TungFung; 'a student' of Chen Po; Sung, YuenTung is the given author of their elaboration the 5-word-Secret-verse song; there are now about 5 commentaries now published in english. (5) The name of a '66-form' exercise taught by Nanking teacher Wu Yi-hui; The current lineage teacher Choi WaiLun and other teachers more often refer to their exercise as 'HuaYu' in praise [acceptable], as a high-standard [symbolic], and as a origin-source [dubious] ...as HuaYu XinYi LiuHeBaFa: this expression is a simple two parts: 'Mt Hua-inspired + 'central ideas' or 'intrinsic-intuition' + guided by the wisdom of Liu-He with Ba-Fa poetic-verses. (6) An existing exercise with core principles renamed: It is known that Wu YiHui had extensive associated exercise knowledge that he could have reworked. An existing external exercise known as the 8 tactics, Liu Hung's Eight-Link Palms, is a collective of 8 series of forms of about 5-8 movements each. Their great form-principle similarity suggests this, as well as their numerical relation: ie. 8x8, 6x8. 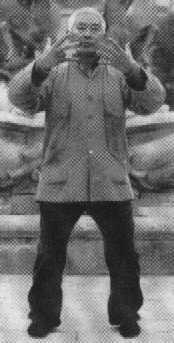 (7) An obscure exercise, based on the 'water' flowing principles known to have been taught solely by the name water-boxing which developed further through mingling with hun-yuan and with chan chong yi-quan, both of which were and continue to be available in Shanghai. The water-boxing completely lacks the forms of the lo hung-8-strategies which are taught as a part of the LHBF-system. (1) is both the name of a teaching poem, the 6x8-verses, said to have been 'found' by Lee, Tung-fung; his student, Sung, Yuen-tung is the given author of their elaboration the 5-word-verses. (2) the name of a 'long-form' exercise taught by Nanking teacher Wu YiHui; The current lineage teacher Choi Wai-lun and other teachers more often refer to their exercise as 'HuaYu' in praise [acceptable], as a high-standard [symbolic], and as a origin-source [dubious] ...as HuaYu XinYi LiuHeBaFa: this expression is simple two parts: 'Mt Hua central ideas'+ 6x8. (4) the water-boxing name, however, is reaffixed to the LiuHeBaFa exercise emerging into America by various teachers; there is thus one in principle another in name only. Health-exercise: water/spirit-boxing, water-style, water-boxing, water-spirit, water-method-qi-gong, spirit-method-exercise, spirit-dream. Addendum : water boxing, ...Yes or No? "Wang De Wei ( of XianYang ) changed LHBF to water fist, ' per Chen Yi-ren." 遊 拳 you chuan, swimming boxing. "I have not taught that water fist means that the the art may be manifested in 3 different states like water; I also have no idea who said this first or based on what experience/authority/teaching/theoretical basis, but if it aids understanding then i guess its OK.
"In Chen YiRen's writing, he said that Wang De Wei ( of Xian Yang ) renamed LHBF to water fist, later the art was passed to a Daoist Yuan-Rong, who practiced it as Yuan Tong Ba Fa ( 元通八法 ). " "Later Yang Jing Qun of Fang Shang (房山 杨景群) used (this type of) Xin Yi Liu He, to treat the sick, and changed its name to 先天十二势. so you see, actually LHBF have many names before; but Gm Chen's writing did stress that many [prior] LHBF masters were 心意正宗 (authentic school of Xin Yi 心意 ). " Water-style qigong-exercise is principled on the dynamic-patterns of flowing. then flowing: in unison with self, with another, with surroundings. The Water-style relies on intrinsic-resonance, rather than the induced resonance/ cycles of idea-forms. The Hun Yuan-Spiraling and Waving-hands principles are closely allied but start from inducing through ideation before getting to flowing with the ongoing intrinsic patterns. Yi Quan uses Shi li, an induced resonance to test integrity and force issuance this is only part of the standing zhan zhuang foundation exercises. If the motions continue with the same feelings as zhan zhuang, but as very slow, flowing, gentle movements of whole body unity, they become like Tai Chi quan but without complexity or pre-choreographed forms. Basic training: zhan zhuang (standing post), slow movement exercises shi li and moca bu, explosively issuing force fa li and voice/ breath practice shi sheng. Fighting training: consists of tui shou (pushing hands) and san shou (learning free fighting). Yiquan uses punching, chopping, hitting with elbows, knees, head, shoulders, hips and kicking, and also throwing opponent down and throwing him away. Tui shou prepares for san shou, when there is contact with an opponent it develops the ability to affecting an opponents balance and seeks and creates opportunities. 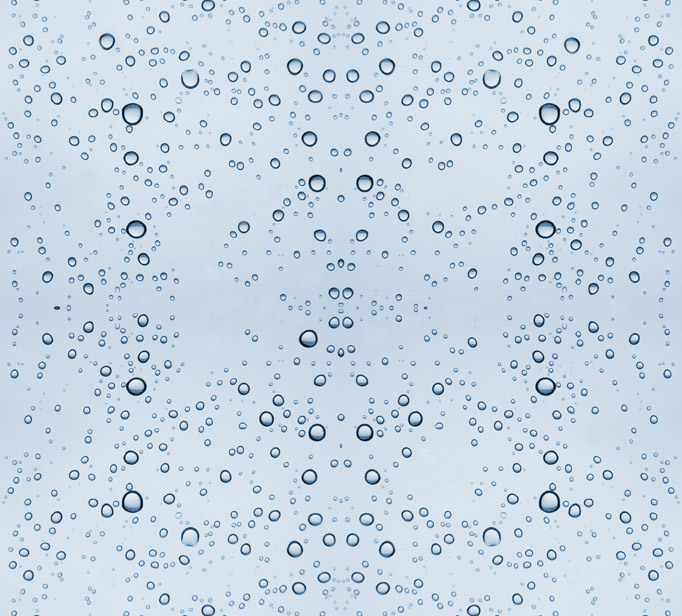 So-called water-style is both a principle and a pre- and a post- LHPF exercise with a formulated-series of formed-principles. The 'water'-like teaching is more important than the LHPF-forms released in Nanking which have taken on aspects of harder/softer or rounder/linear to suit the various later-teachers; LHPF is thus xingyi-, taichi-, and bagua-like in practice, possibility, and comparitively. This approach is from the view-point of wu-gong. The water style approach is a flowing-feel without an attempt to borrow from or to compare the evolving-forms to be other than what they are. The concept that it is a qi-gong is not even correct either. It is more of a shen-gong: a spirit-exercise of which the qi is an intrinsic part. ...the intent itself is instrinsic, the primordial 'will' of what we are. Thus, for each, you get all these names: water, circle-wun-, 6x8, and yi-; all are alike. Note : as yi quan practice advances from 'standing, stepping foundations, to martial ready forms and combat practice, ...it could be said that yi quan's advanced 'swimming and dancing' is where LHBF or water style begins.' This statement is essentially true.